KCNA: "Civic and social organizations of south Korea recently held a rally outside the U.S. military base in Ryongsan to condemn the U.S. for hindering the improvement of the inter-Korean relations and peace on the Korean peninsula." 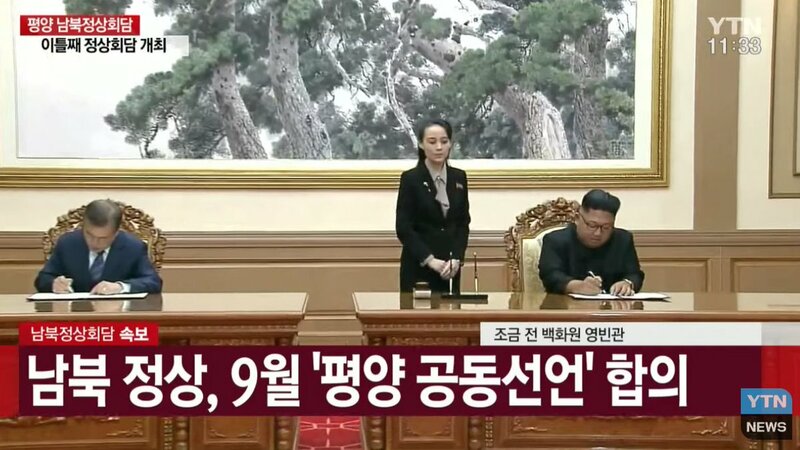 KCNA: "Kim Jong Un and his wife Ri Sol Ju together with Moon Jae In and his wife Kim Jung Sook went down to Lake Chon and exchanged impressions of climbing the mountain, walking along the shore of the lake." KCNA: " Moon Jae In expressed his impression of climbing the holy mountain symbolic of the soul and spirit of the Korean nation and voiced his expectation and conviction that the first step today would be followed by a new era desired by all the fellow countrymen." 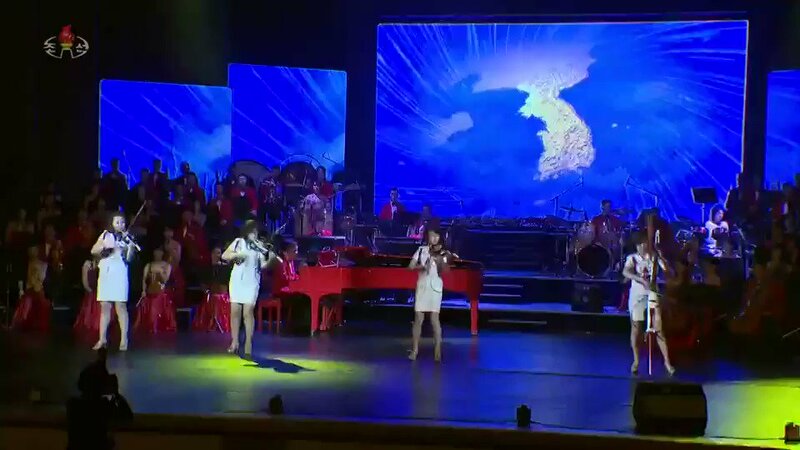 KCNA: "On the ridge of Janggun Peak, the highest peak in range of Mt Paektu, Kim Jong Un together with President Moon Jae In feasted their eyes long on the natural beautyof the limpid and blue Lake Chonthat extended vast reminding one of the blood vein of the nation." 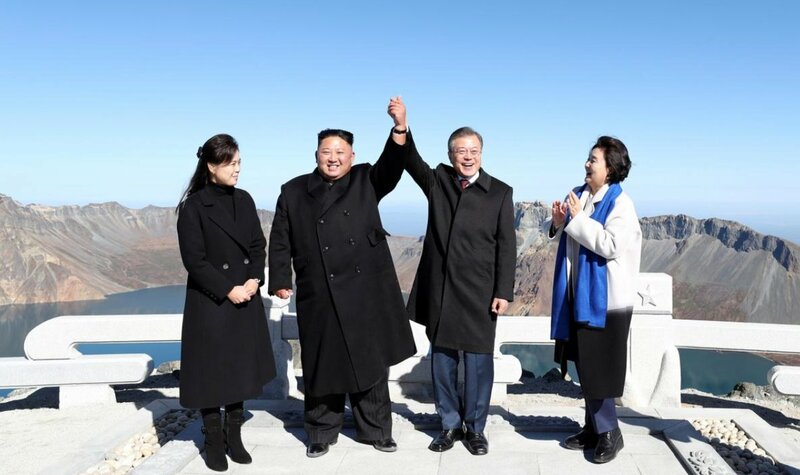 KCNA: "Kim Jong Unand his wife Ri Sol Ju climbed Mt Paektu together with President Moon Jae In and his wife Kim Jung Sook on Thursday morning after the successful north-south summit drawing the attention of all the fellow countrymen and the whole world."